The group departed for Alaska on July 8. 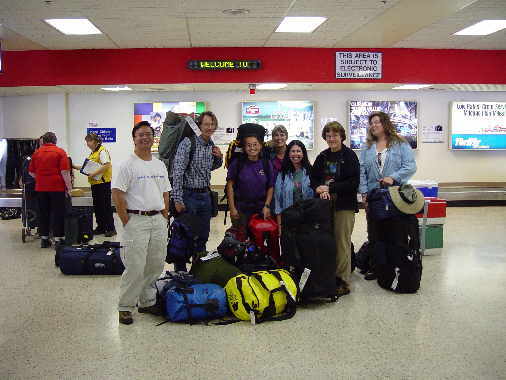 Below, the group and their gear at the Anchorage airport. 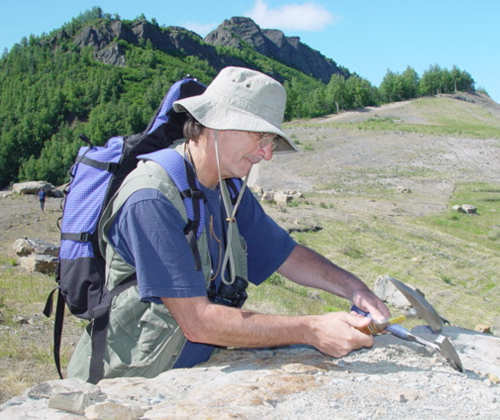 Above: Phil Wharton at Wishbone Hill (on July 10), intent on capturing that fossil. 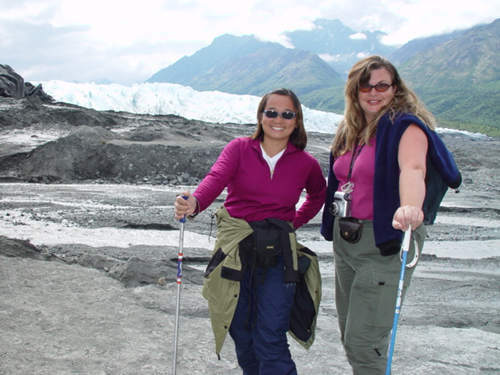 Below: Phelana Pang and Holly Ruff pose at Matanuska Glacier (July 11).